CLICK HERE TO FIND OUT WHICH PROGRAM IS RIGHT FOR YOU! BIG SECRET to fast lasting fat loss? Inside every mother is a fierce, intuitive woman who can create heroic outcomes: she is a Warrior Mom. In Warrior Mom: 7 Secrets to Bold, Brave Resilience, celebrity health expert and four-time New York Times bestselling author JJ Virgin reveals how one life-altering event taught her to trust her instincts, pay attention to the details that matter, and defy the odds – and she shares how you can, too! Trash your treadmill and sprint on the Xiser! Get a full high-intensity interval training workout in just minutes a day – no gym membership or bulky equipment required. We don’t take any chances: Every batch of beans goes through independent lab testing for 27 different toxins (including mold toxins that can easily survive coffee-roasting temperatures) to guarantee each cup leaves you clear-headed, energized, and focused. 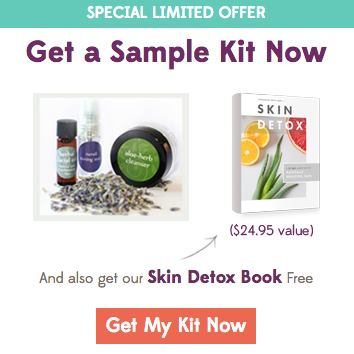 Their natural, organic, & wildcrafted skin care products promote young, beautiful skin with no toxins or chemicals. Detox and lose fat with a Sunlighten infrared sauna, proven to promote healing and weight loss. Your freezer needs this! Vital Choice Organics & Seafood delivers incredible Wild Alaskan Salmon, Organic Seafood Marinade Mix, Wild Alaskan Halibut, and more directly to your home. Make your life easier by having Thrive Market’s premium products delivered to your door! Thrive Market offers all your favorite foods, drinks, and just about everything else at a great discount. Enjoy a low-sulfite, mycotoxin-free wine with a focus on purity and delicious aromas and flavors. This is real wine, as it should be: nothing added, nothing removed. The quality of meat you eat makes a difference in your health. I love Butcher Box because they make it affordable to eat clean, conscientiously raised meat that tastes incredible. You’ll notice the difference! 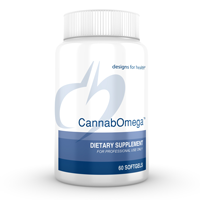 CannabOmega is a safe, natural supplement that combines the powerful anti-inflammatory properties of omega-3s and CBD for a modern, non-addictive way to treat pain. Use JJVIRGIN (all caps, no spaces) as your referring practitioner when you order.